While Greece is known for its major historical monuments and rich culture, the country also boasts some world-class art galleries, featuring the work of local and international artists. Athens and Thessaloniki are home to the majority of them, but you will also find interesting galleries in the islands. Buckle up; we are taking you on a tour to discover the top Greek art galleries. The National Art Gallery (also known as the National Art Gallery – Alexandros Soutzos Museum) was founded in 1900 and holds an impressive collection of 17,000 works of art, including paintings, sculptures, and more, dating from the post-Byzantine period until the 20th century. The gallery’s collection is split between two locations; the paintings (including stunning art from the Renaissance) are housed in the central building, while the other branch in Goudi is home to the sculpture collection. Established in 1995 in Mykonos, the Rarity Gallery showcases the works of contemporary Greek and international artists. While it doesn’t focus on one form of art, it includes a wide collection of paintings and sculptures. Housed in a stunning building, the gallery offers visitors an original artistic experience. Having displayed the works of prominent artists such as Hanneke Beaumont, Julian Opie, Hunt Slonem, George Pusenkoff, Joana Vasconcelos, Carole Feuerman, Lluis Barba, Tim Maguire, Zhuang Hong Yi and Ilse Haider, the gallery now focuses on younger artists, such as Julian Lennon, Jaime Valero and Jan Milkuka. 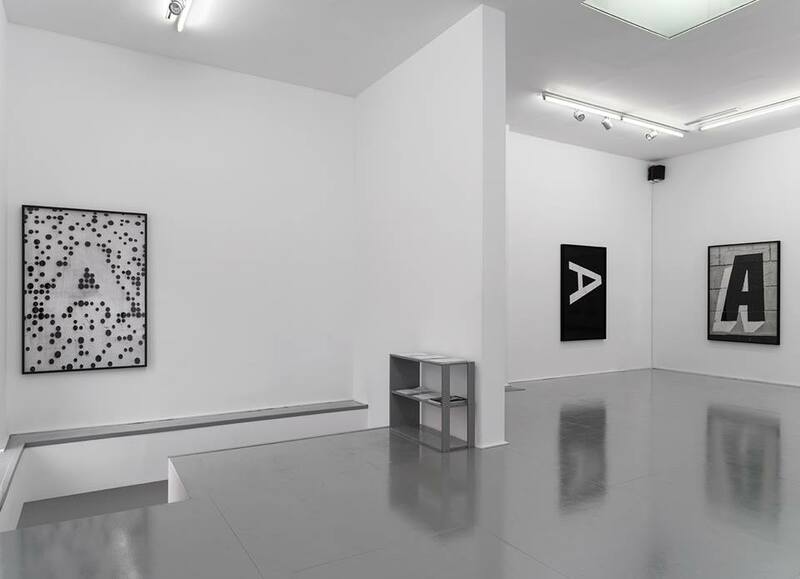 Conveniently located in the heart of Thessaloniki, Artis Causa Gallery is well known in the art scene of the northern city. Offering a refreshing approach to art display, the gallery showcases contemporary local and foreign artists, with a focus on sculpture, painting, and video art and performance. Partnering with several art galleries across Europe as well as art experts, the gallery regularly participates in internationally-acclaimed art fairs. If you are vacationing in Naxos and love art, we have good news for you. The beautiful Cycladic island also has an art gallery with an enchanting name. 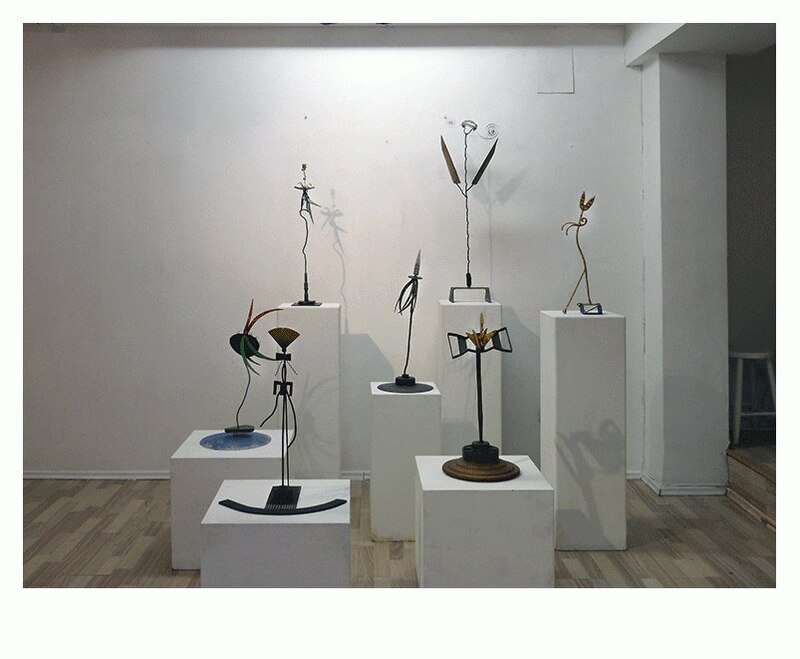 Established in 1998 by Guy Pouzol, Petalouda (which means butterfly) Art Gallery specializes in contemporary and modern art, with works from Greek and foreign artists, including Yanni, Athanasios Beroutsios, Françoise Mayeras, Monica Mariniello, and Zacharias Koumblis. The Rebecca Camhi Gallery is unique gallery that was somewhat of a pioneer in the Athenian art scene, as it opted for a central location downtown when it opened in 1995. Now it has relocated to the Metaxourgeio district. Presenting a variety of artistic fields such as photography, paintings, video, sculpture and film, the gallery has presented important figures both at the national and international levels. Specializing in the promotion of art from Greece, the Balkans and the Middle East, this gallery strives to create a bridge between the Western and Eastern worlds. Focusing on contemporary and post-war art, the gallery has participated in various international art fairs — such as the Venice Biennale, the Thessaloniki Biennale of Contemporary Art and the Athens Biennale — and has collaborated with major international museums. The gallery has a branch in Athens, too. Located in Epirus’ capital, Ioannina, Technohoros was founded in 2003 with the objective to bring art to the general public and participate actively in the art scene of Ioannina. 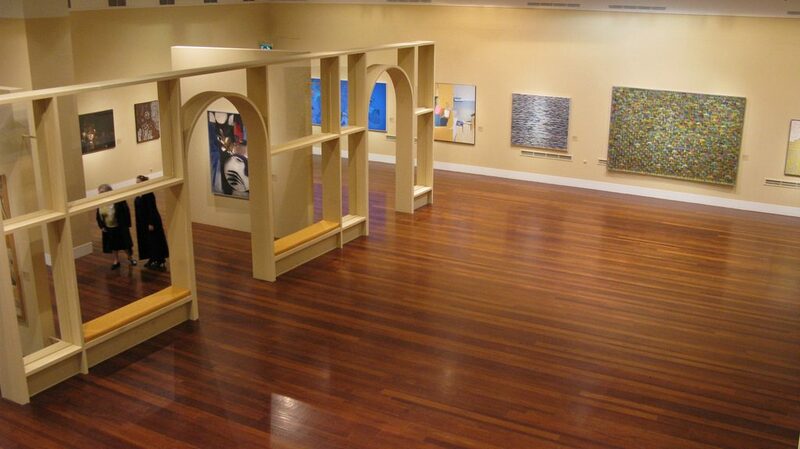 Presenting works by Greek artists, the gallery periodically hosts events and group exhibitions. Featuring a small art shop, Technohoros has managed to establish itself as a major player in the local art world. 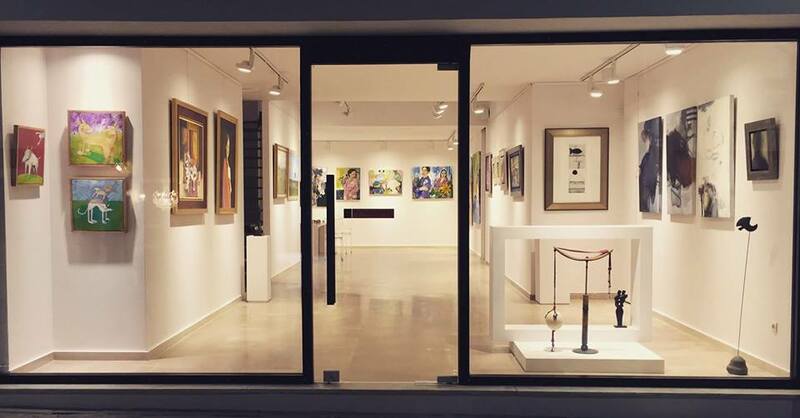 Located in the town of Trikala, Alma Gallery was established in 2010. With a focus on promoting an ongoing dialogue between modern and contemporary art in Greece, Alma has been showcasing up-and-coming as well as established Greek artists who work in a variety of media. The gallery now has a branch in Athens and hopes to introduce the general public to talented artists and promote the artistic vision of Greece abroad. 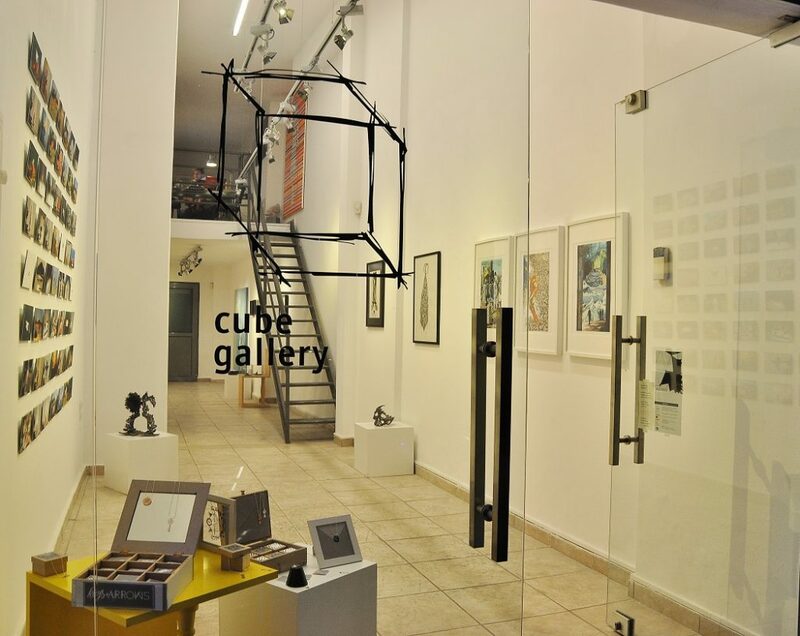 Established in December 2010, Cube Gallery is an art space created by Liana Zoza, the gallery’s art director and curator. With the mission to present emerging and established artists, the gallery focuses on contemporary art in all its forms but mainly photography, sculpture, painting, video art, performance and installation art. The gallery also has an innovative programme of events, including monthly solo and group exhibitions, as well as other art projects. Such events include Fresh Art and Art Fare, an ongoing project involving old and new collaborators, with the desire to make art affordable to the general public.